Like his girlfriend Lena Dunham, fun. 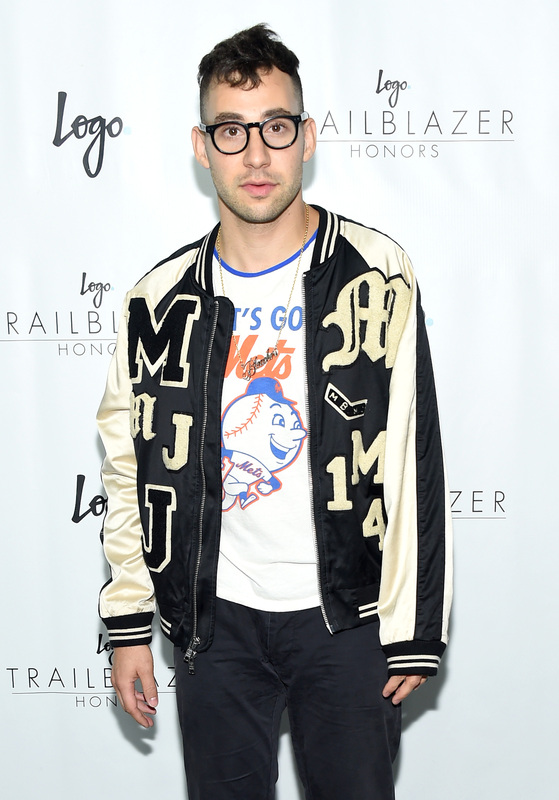 singer Jack Antonoff is teaming up with Planned Parenthood and Refinery29 to not only prove how beneficial the organization is, but to also show that the nonprofit offers options for both women and men. The Grammy-winning singer filmed a video produced by Dunham for the Her Shorts video series from Planned Parenthood and Refinery29, which shows him trying to write a song about the services Planned Parenthood offers men. Alongside Antonoff are his friends Alex Karpovsky from Girls, actor and comedian John Early, and Saturday Night Live's Sasheer Zamata. Though the skit is lighthearted, they're trying to make a serious point: Planned Parenthood offers care, services and information to men, women and children. And it comes at an important time, as the House of Representatives just voted to freeze the organization's funding. Through this video, Antonoff hopes that others will listen and see just how important Planned Parenthood is to our nation. While chatting with Refinery29, he said, "I think some people think that Planned Parenthood is a place where you get an abortion and they’re just giving out abortions ... [but] there’s so many services and information that come out of Planned Parenthood." I don’t think anyone can sit there and definitively say what someone else should do with their own body. We have to give people options with their bodies, because when people don’t have options, really bad decisions are made, and really horrible things can happen ... I think Planned Parenthood gives a world of options. Planned Parenthood is an incredible place that saves lives. It’s a place where people can go and get... information … [and/or take] specific action [with their bodies] when they need to ... Planned Parenthood’s entire thing is they’re there to help … They’re there to help people make good decisions and good choices, and I don’t see anything from Planned Parenthood that isn’t just incredibly positive and focused on people having a better quality of life. And he definitely demonstrates just that in the video, which you can watch here.